Wall Street Journal – Is Laos Losing Its Way? 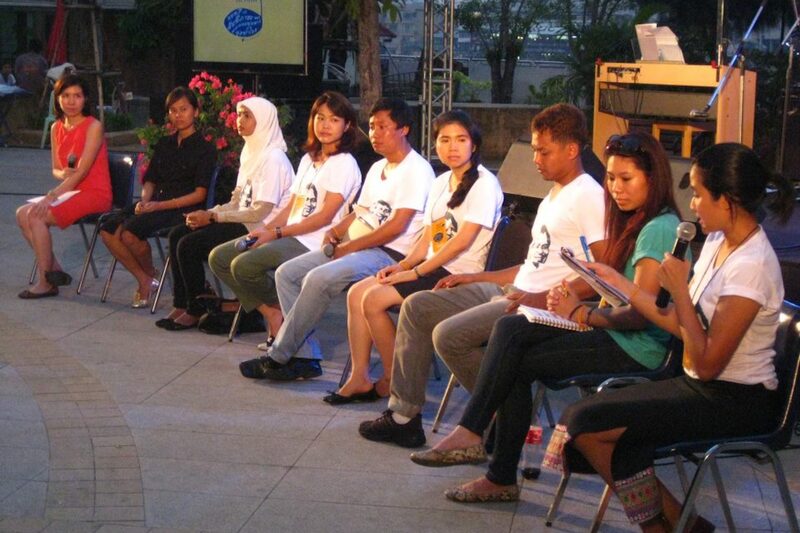 The disappearance of a community leader threatens Vientiane’s recent progress. 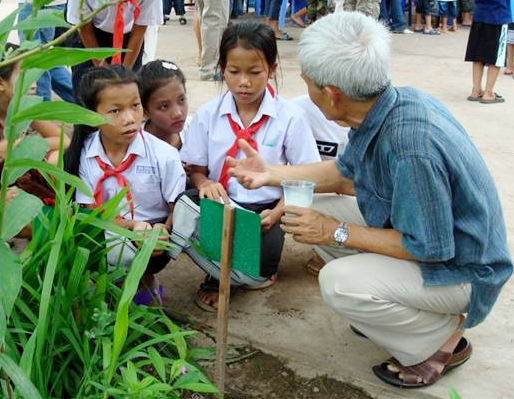 The year 2012 marked a coming of age for tiny landlocked Laos. In July Hillary Clinton became the first U.S. secretary of state since the 1950s to visit the country. The World Trade Organization formally voted in October to allow Laos into the trade grouping after years of negotiations. In early November, Laos’s capital Vientiane hosted the Asia-Europe Meeting, which was attended by dozens of world leaders and senior officials, including the prime minister of China and the president of the European Council. Laos’estimated economic growth of 8.3% last year likely made it Southeast Asia’s top economic performer. But all this good news is dissipating like mist on the Mekong because of the country’s suspicious response to the disappearance of an internationally recognized development leader. On Dec. 15, Sombath Somphone was driving on the outskirts of Vientiane when he was stopped in his Jeep by police and then transferred by non-uniformed men into another vehicle, as photo and video evidence from that day shows. No one has seen him since. The Laos government has said it has no idea what happened to Mr. Sombath. Its official news agency speculated that his disappearance may have been prompted by a business or personal dispute. But diplomatic sources in Vientiane who have seen the footage of Mr. Sombath’s roadside confrontation are convinced that he was taken and is being held by Laos’s security apparatus. For a country that relies on foreign assistance for roughly 70% of its budget, the agronomist’s disappearance—and the government’s subsequent unwillingness to forthrightly address it—has become a major headache. 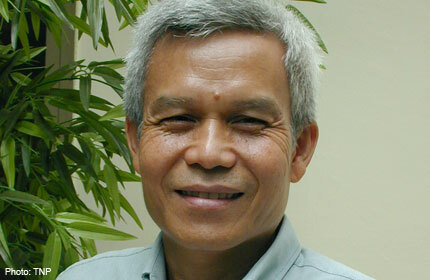 Few in Laos have built bridges between the foreign and local development communities as effectively as Sombath Somphone. The oldest of eight siblings, he grew up in a poor rice farming family in southern Laos at the height of the Vietnam War. In the early 1970s, he received a scholarship to study education and agriculture at the University of Hawaii. The UN and some western governments are preparing to put fresh questions to the Lao government over the mysterious disappearance in mid-December of a prominent education and health campaigner, after Vientiane late last week rejected suggestions by the UN of state involvement in the case. In a statement to the UN’s Office of the High Commissioner for Human Rights, Laos denied knowledge of the whereabouts of Sombath Somphone, 60, and said he had not been taken into police custody, as widely reported, but rather may have been kidnapped because of a “personal conflict”. UN human rights officials, as well as US and European governments, have expressed concern in recent weeks that the activist is being held by the Lao authorities. Closed circuit video footage from police security cameras showed Mr Sombath, founder of a local non-government organisation Padetc, being stopped by traffic police at a roadside post while he was driving home from work in Vientiane, the Lao capital, in mid-December. Mr Sombath was following his Singaporean wife in a separate car but never arrived home. The government has denied he was taken into custody at the stop, which they said was a “routine” check, but grainy CCTV footage shows a man resembling Mr Sombath being driven away by uniformed Lao officials. and other ideas about what you can do to help. If you want to suggest other ways we can support the safe return of Sombath Somphone, please let us know through the address on our Contact page. The pictures on this site can be used by anybody who is concerned about Sombath’s disappearance and who wants to publicise the work he has been doing for his country. Please share these images as widely as possible. Sombath & Archbishop Desmond Tutu-20?? "My husband is not a dissident"
The wife of Sombath Somphone was interviewed on Australian radio today, emphasizing that her husband is a development worker who is interested in helping his country, and that he has always worked closely with the government. 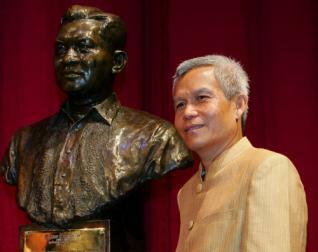 This weekend marks three weeks since the disappearance of the respected Lao community leader, teacher and social activist Sombath Somphone.Well known in the region, he received the prestigious Ramon Magsaysay Award for his work. Sombath Somphone has not been heard of since being taken away from a police checkpoint in the capital, Vientiane. The government has denied any involvement, hinting at a possible business or personal conflict as the reason for his disappearance. NG: I have not heard any news apart from the government statement which was issued on the 19th and a visit to the police station I have not heard anything since. FAYLE: Now have the authorities been maintaining contact with you? NG: The police department has called me for a short interview on the 26th of December and since then they have not been in contact with me. FAYLE: Now would you describe your husband as a dissident in any form? The Ambassador, Permanent Representative of the Lao PDR to the UN in Geneva, Yong Chanthalangsy, on Thursday sent a letter clarifying the issue of the disappearance of Mr Sombath Somphone in response to the queries raised by the UN Special Procedures. As a Member of the United Nations, Laos has always cooperated with the international community, particularly in the promotion and protection of human rights, which is reflected in the country’s implementation of its international obligations and commitments on human rights with achievements being progressively made. Laos is State party to 7 core UN Human Rights Conventions and 2 Optional Protocols. In addition, Laos is also a signatory to the Convention on the Protection of All Persons from Enforced Disappearance. Being the fourth nation in Asia to sign this important Convention Laos is currently in the process of preparations for its ratification. In the implementation of its human rights obligations and commitments the Lao PDR has the Constitution and laws which are in conformity with the treaties to which the Lao PDR is party. Furthermore, Laos has adopted the Legal Sector Master Plan on the Rule of Law by 2020 in order to create enabling conditions for the Lao people to fully enjoy their human rights and fundamental freedoms. My uncle, Mr. Sombath Somphone, has been missing since December 15th 2012 in Vientiane, Laos. Till now, our family still haven’t got any news about where he is, who has him, why he was taken (kidnapped? ), how can we get him back. So depressed and so stressful for our family and all the people who know my uncle so well. We don’t know what to do. There’s rumor that many people have been told not to talk about him. Many people are even scared to contact with our family. Many people have told that this is very dangerous case. If you don’t know my uncle well, you will believe in that. Repectfully, to those who believe in that, for the entire life of me and my family and friends, we don’t see any thing that he has done wrong to any body. He’s just a normal person who cares so much about the future of his own country and the lives of the next generation. He have been working so hard in his entire life not to gain fame, but with a truly caring heart to help our country as much as he can do. What other people around the world said about him recently is the evident. We cannot control or force anyone to say that’s he’s good or bad. All his works since the past and the respect from people around the world have already shown us all.